It’s not often that I do personal work (or really anything not contracted by a client), but a shoot like this one had been kicking around in my head. I will of course love natural light for all of my days, but bringing lighting and an assistant to the beach was such a fun change of pace. As luck would have it, the paddle board served as a fantastic bounce, and the artificial light often took a back seat! 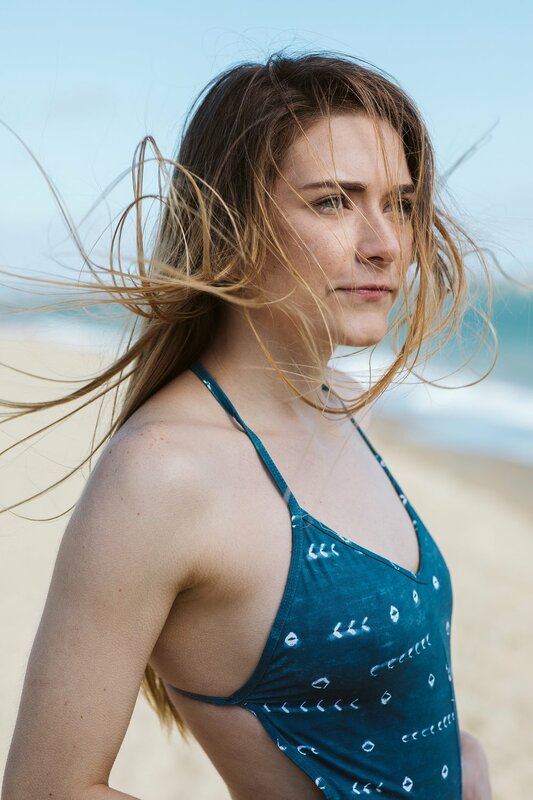 Thank you so much to Amelia for looking gorgeous while braving some very cold and very strong wind, to Carve Designs for the beautiful blue swimsuit lender, and to Patrick for assisting and making it all possible.